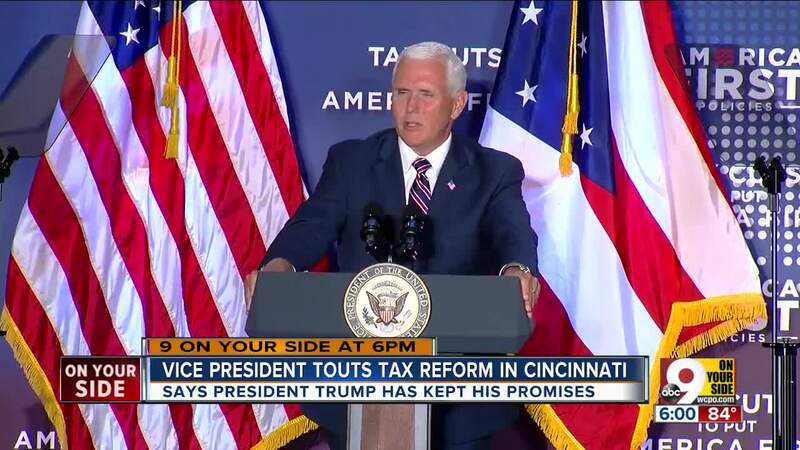 CINCINNATI -- Vice President Mike Pence opened his speech at an event about Republican tax reform Tuesday by touting the $716 billion military spending bill signed by President Donald Trump a day earlier. 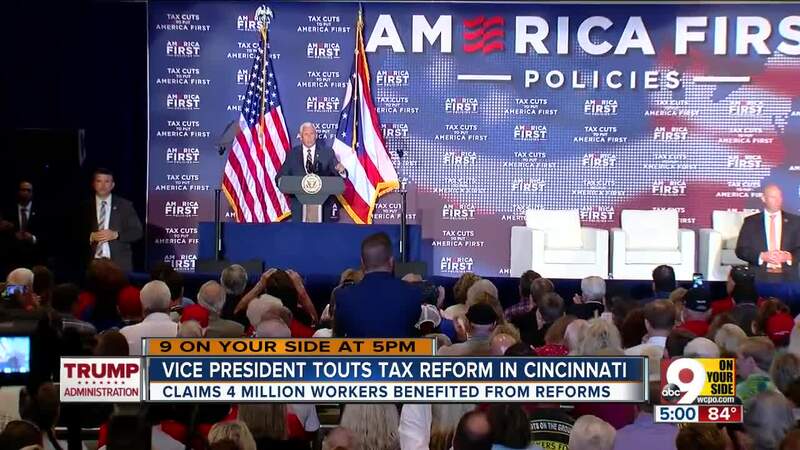 Pence visited Cincinnati to give the keynote speech at the "Tax Cuts to Put America First" event put on by the group America First Policies at the Westin Hotel downtown. The defense bill , the John S. McCain National Defense Authorization Act, will allow for pay raises for military personnel and upgrades to aging M1 Abrams, Pence said. He also spoke about the president's promise to create a new branch of the military: The Space Force. "We've been keeping our promise to rebuild our military," Pence said. The vice president said Trump has been keeping his other promises, pointing out efforts to weaken the Affordable Care Act. "We have cut out the core of Obamacare," he said. "The individual mandate is gone. It's off the book." 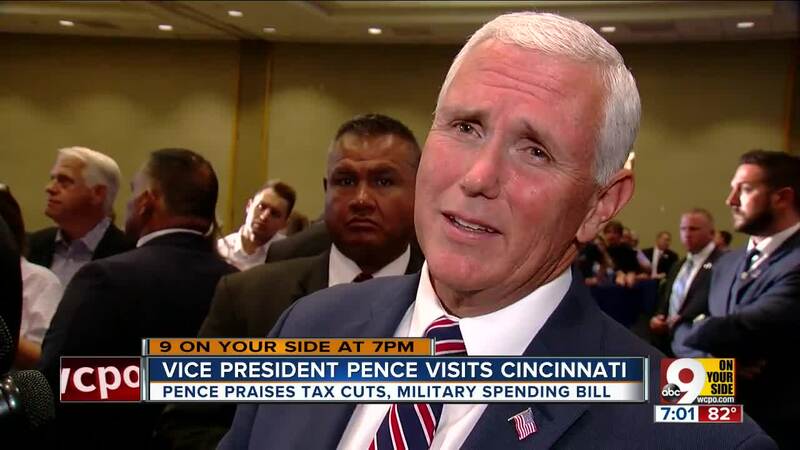 Pence spoke about Trump administration policies on immigration and the economy, saying that American businesses are more competitive and unemployment claims are down. "In this White House, we will not rest or relent until we have international trade that puts American jobs and American workers first," he said. "Our focus today is really on the incredible progress we are making," Pence said. "Nearly 4 million new jobs created all across America, and we have been able to do it because of the partnership that we've had with Republican majorities in Congress." The speech drew a positive response from the crowd. "I like the families getting money back, especially for women who have children and they have to pay so much money to take care of their kids while they work," Jane Breitung of Cincinnati said. "I think that's a big, big deal." It was an emotional event for some, like Jerry Huelsman of Centerville. "I almost had a little tear in my eye," Huelsman said. "I tried not to get emotional, but I just believe everything he said." Pence also used the speech to stump for fellow Republicans Sen. Rob Portman, Rep. Steve Chabot, Rep. Brad Wenstrup and Rep. Jim Renacci, who held a forum discussion on GOP tax reform at the event before Pence's speech. It was a busy day of campaigning for the vice president. 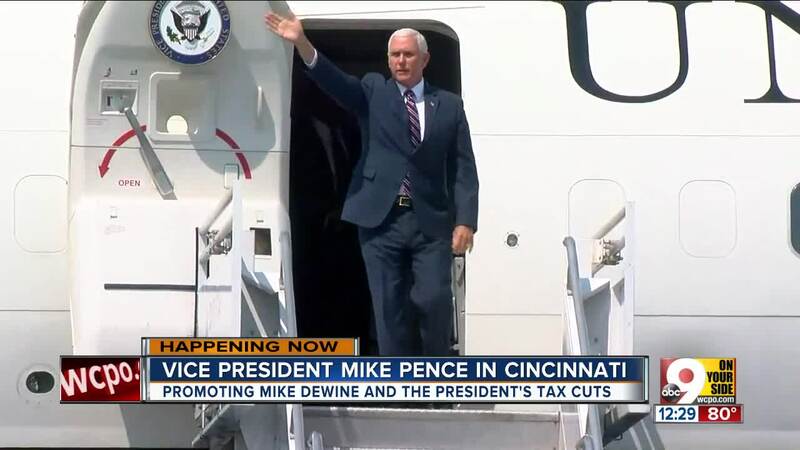 After landing at Cincinnati/Northern Kentucky International Airport at about noon, Pence attended an event for Attorney General Mike DeWine's gubernatorial campaign before his America First Policies speech. 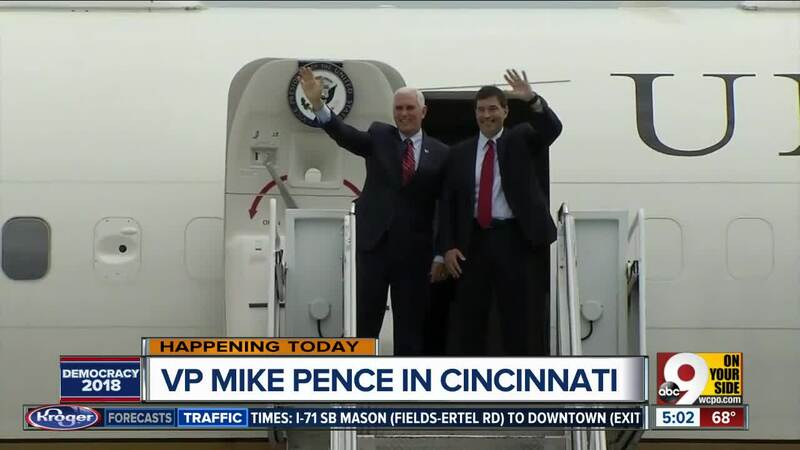 After the speech, Pence was scheduled to fly from CVG to the Toledo area to take part in an event for Renacci's campaign for Senate.